Meeting our customers on a daily basis to install windows, doors and conservatories, our fantastic installers are the face of Sheerwater Glass and are often commended for their hard work. Today we met with Andy, one of our expert installers, who has been working at Sheerwater Glass for 5 years. How long have you been installing windows for? 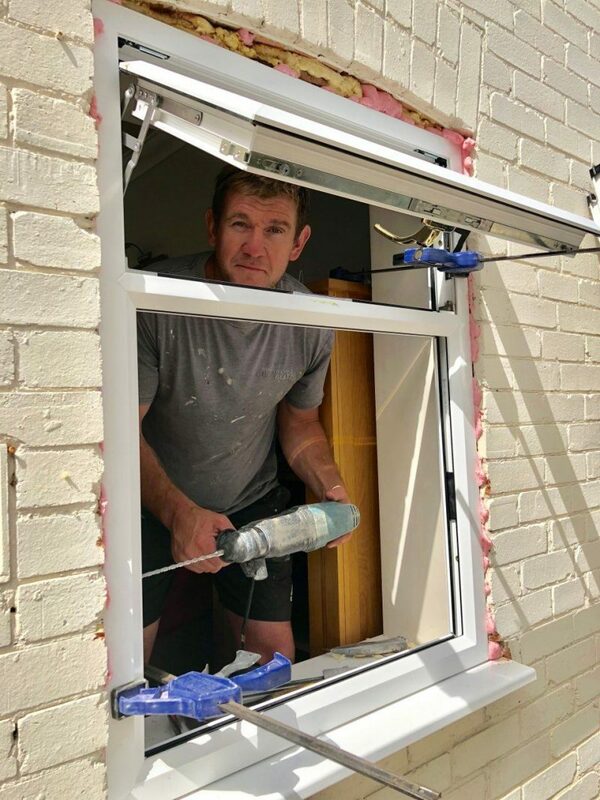 I’ve worked for a number of different window companies over the last 20 years after completing my training on a Carpentry and Joinery course. What skills do you need to carry out your job? Proficient in Health and Safety, be able to communicate well with the customers, and be neat and tidy. Most importantly, you need to be able to think forward a few steps and be aware of any potential issues which may occur. Do you have a favourite installation? We installed a huge, beautiful home with a full set of black windows and doors. The originals were very tired, so to see the results at the end of the installation was amazing! Meeting new people and seeing the transformations once we’ve completed an installation. Taking the kids to Mini Moto and relaxing with a spot of fishing. My favourites are definitely a steak or paella with a cold bottle of Peroni!